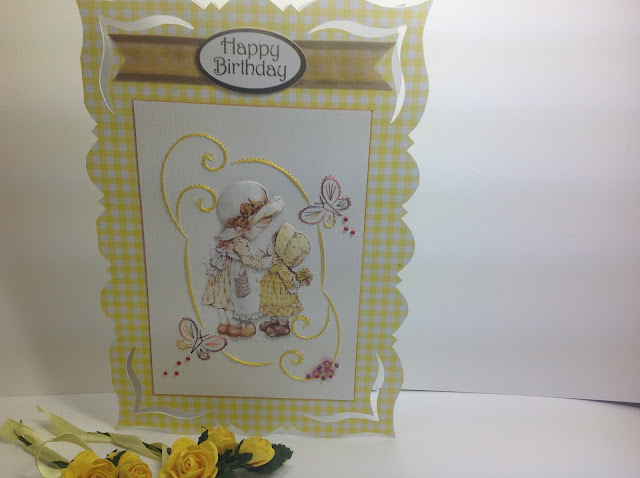 I thought as today is such a lovely sunny summers day, I would show you a card I stitched which I think looks like a summers day. The pattern I found in a Hobbydols book No101, and the topper is from a Sarah Kay die cut sheet. 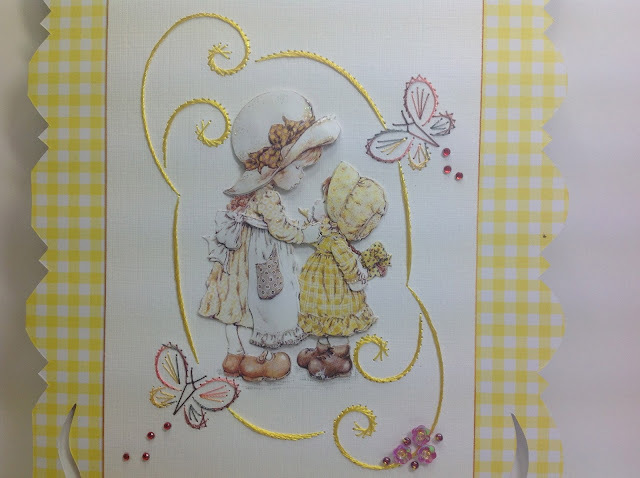 Once I stitched the pattern and the beads onto the card I glued the topper onto the centre. 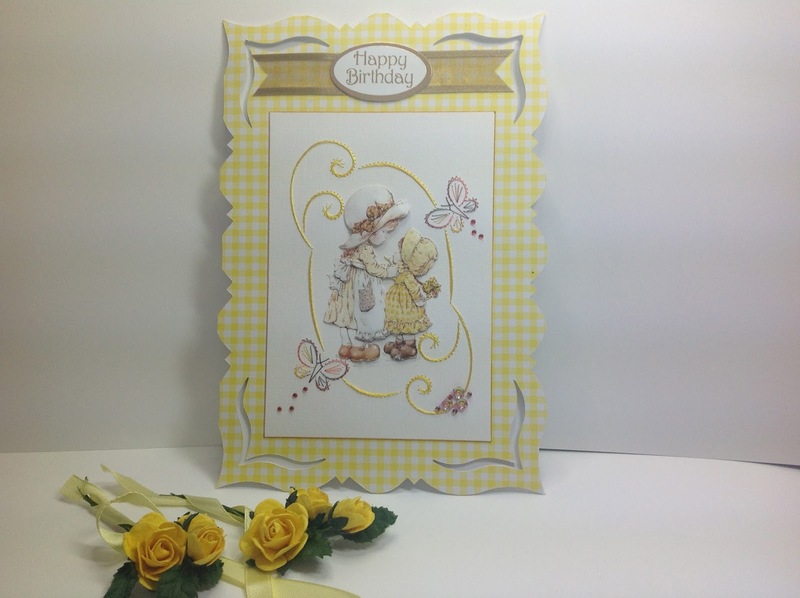 I covered the shaped card (which I have had for years) with yellow gingham paper. 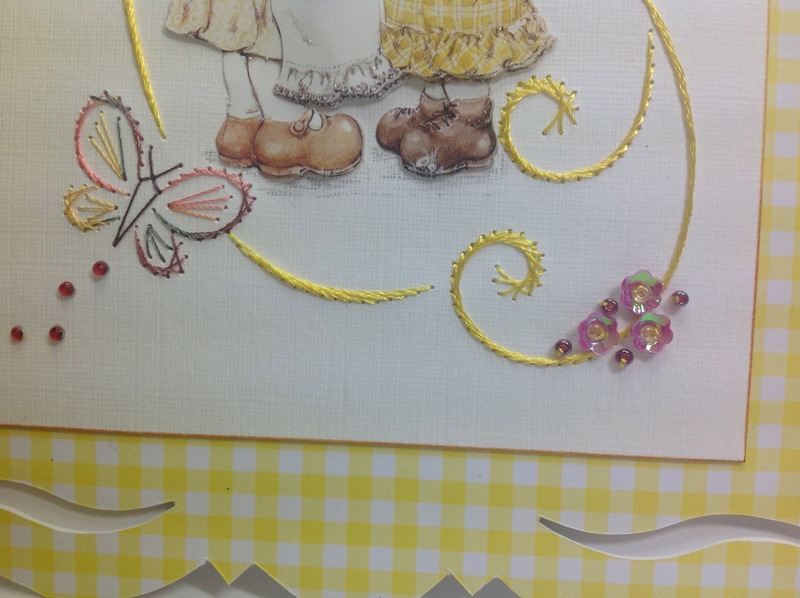 I used a promarker to go around the edge of the stitched card, before I mounted the stitched card onto the card. I added a piece of ribbon and a sentiment at the top. I am trying out a tip from a fellow blogger, John Lockwood John Next Door . Someone had asked how John photographed his cards. His pictures always looked goo, so I thought I would try. Hope you see a difference from my earlier blog photos. Hope you're enjoying the lovely weather we are having. Thank you for looking in. Thank you, your photos are always good. I popped over from John Next Door and I am sure glad I did. You have some absolutely stunning creation. I just love all your wonderful "stitched" work it is all beautiful. Thank you for popping by and for your lovely comment.